Like other municipal governments, The City of Burnaby is interested in both cost savings for road maintenance, and implementing whenever possible environmentally friendly solutions. 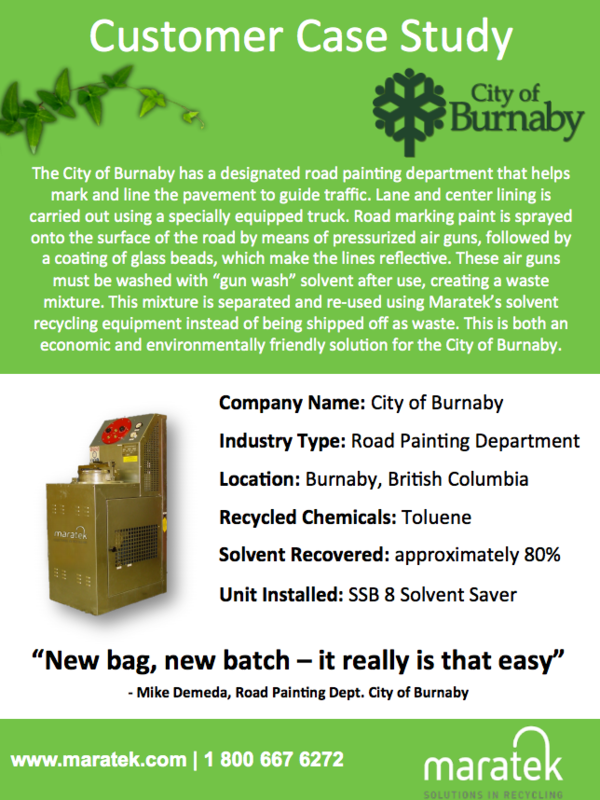 The City of Burnaby's road painting department is responsible for marking road pavements with traffic lines and symbols. They use a specially equipped truck to do the job, which sprays marking paint onto the surface of the road with pressurized air guns, followed by a coating of glass beads to make the lines reflective.